The Proto Expansion for the Onion Omega allows you to create your very own expansion that interfaces with your Omega. 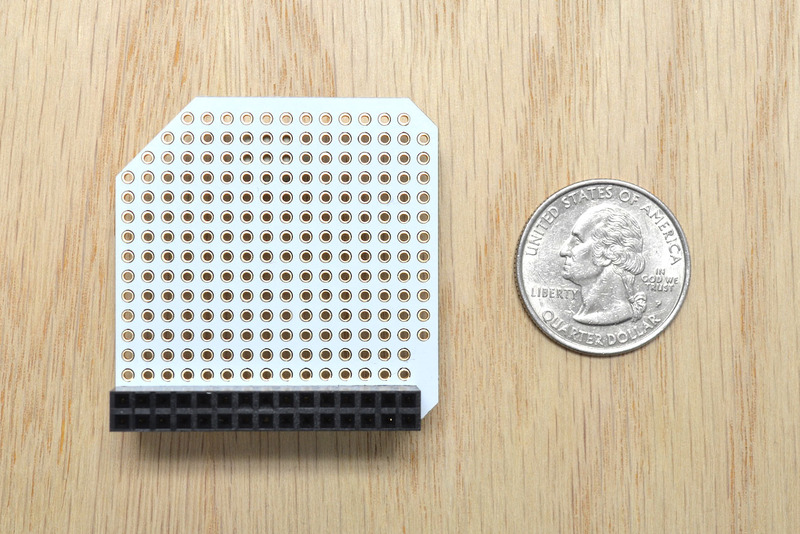 It provides a small soldering area and 30-pin header that plugs into the Expansion Dock. With it you will have full control over what kind of project you design for your Omega. 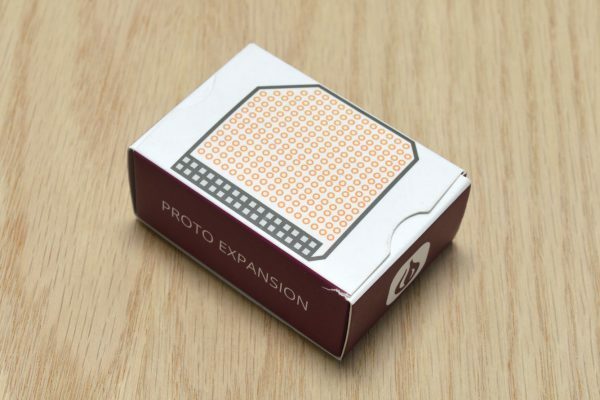 The Proto Expansion for the Onion Omega allows you to create your very own Expansion that interfaces with your Omega. 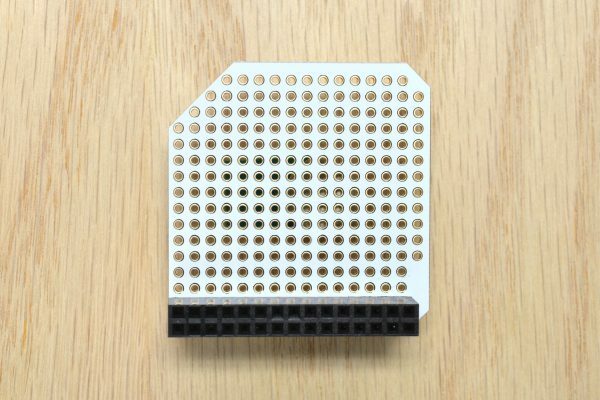 It provides a soldering area of 185 pins and a 30-pin header that plugs into the Expansion Dock. With it you will have full control over what kind of project you design for your Omega. Correct me if I’m wrong, but it appears that there are no connections from the 30 pin header to any of the solder points on the board… It seems like having easily accessible solder points would be a useful thing, no? In other words not having them makes this expansion board pretty useless…. Thank you for your comment. 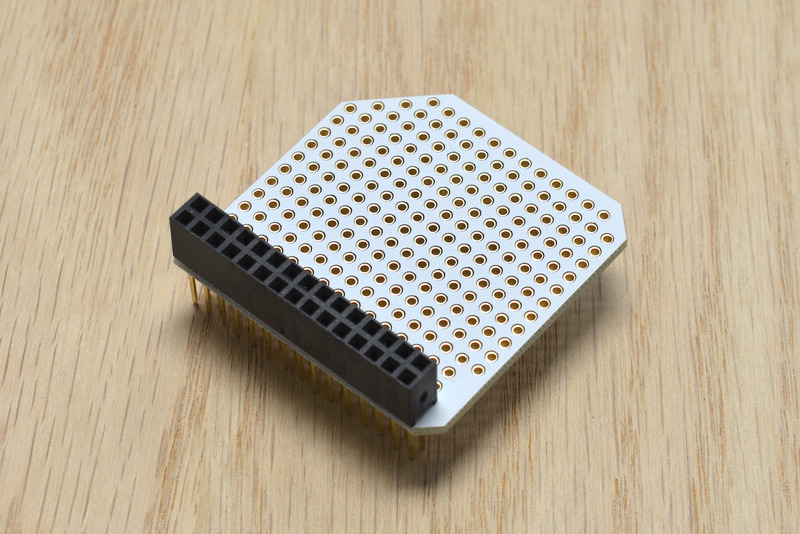 To answer your question, of course there are 30 pins connected to the solder points. 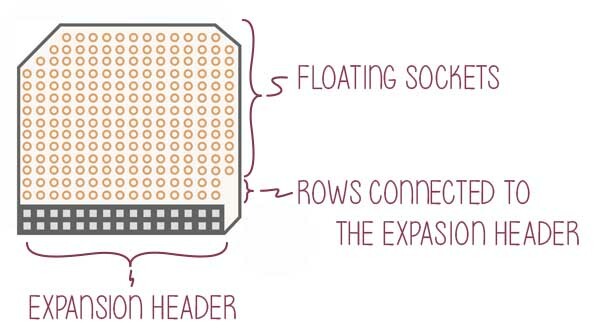 If you take a look at the bottom and the top sides of the particular expansion, you would notice a little traces that making connections between header and solder pins.